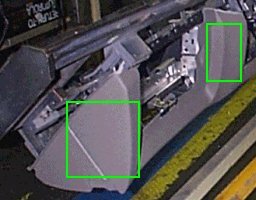 Optical character recognition (OCR), bar coding, RFID, and related techniques have become essential tools for object recognition and tracking in modern automated manufacturing and inspection systems. However, often these tools cannot be used because of geometry, size, orientation, cost, or process stage. Since long before the invention of OCR and bar coding, humans and other living organisms have used color information for reliable, orientation independent, recognition and classification. 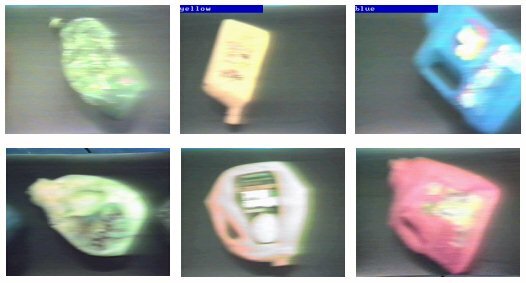 Until recently, automation of color-based object recognition has been limited to situations involving relatively simple color distributions, geometry, and lighting environment. Now new techniques, developed by the staff of Wayland Research, Inc., have made it easy to implement systems whose ability to perform complex color- based recognition is comparable with a human's, but with far greater speed and reliability. WAY-2C is a powerful machine vision software system designed as a reliable cost-effective alternative to human labor in such tedious color-based tasks as inspection, process control, image interpretation, measurement, sorting, and yes, bar-coding. 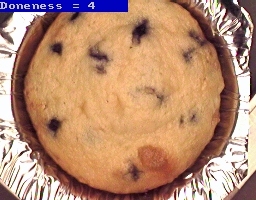 It uses Wayland Research Inc.'s information theory based maximum likelihood classification method which is uniquely suited to take advantage of the color properties of objects. Image sources include camera-link, USB, Firewire and analog video, digital still cameras, as well as local and networked files. WAY-2C's powerful machine learning capability allows it to be quickly trained by example to classify objects on the basis of their color distributions. 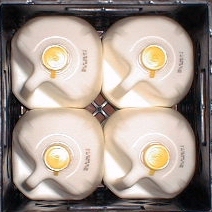 It can then be placed in automatic mode to perform the required task without operator intervention. An easy to learn script language facilitates more complex inspection procedures. Output can be displayed on monitors, written to files, and/or directed to external devices for process monitoring or control. 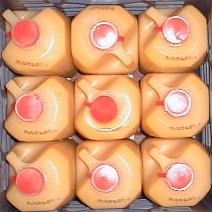 WAY-2C can be interfaced to databases and networks, and controlled by remote computers or other devices. Available tools for automatic script generation facilitate dynamic reprogramming for such applications as verifying correct component sequencing for the automotive industry. 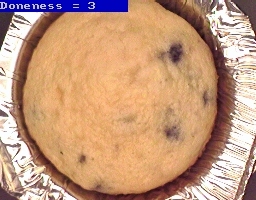 Unlike simple color sensors, WAY-2C can classify many objects in different locations within a single image. Compared to traditional machine vision methods, WAY-2C provides dramatically improved classification, needs no color space transformations, and usually eliminates the need for accurate control of part location. Requirements for uniform lighting are greatly reduced often making it possible to identify objects at a distance and/or in racks or containers . Training by example eliminates tedious color picking and threshold, tolerance, and/or range tweaking. Unlike both simple color sensors and traditional color machine vision methods, WAY-2C's powerful, general statistical matching techniques make it particularly well suited for identifying multicolored objects, even those in which the proportions of the colors vary from scene to scene. 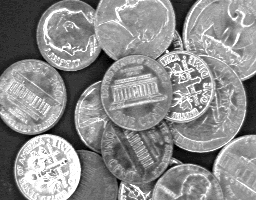 In this example distinguishing silver coins from copper coins can be particularly difficult using monochrome images because of the confusing effects of tarnish, glints, and shadows. Traditional color vision methods can also have problems. 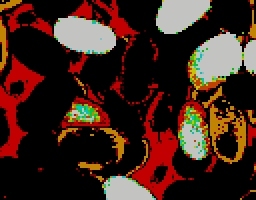 WAY-2C handles such color images with ease as shown by its interpretation portraying copper in red, silver in white and the background in black. During interpretation the amount of each class present is automatically calculated and available for comparison with pre-set limits and/or output to external devices. We hope the many examples below, and on the linked pages, will suggest solutions to your inspection, process control, image interpretation, measurement, sorting, bar-coding, or similar problems. WAY-2C's ability to use coloring to identify objects at a distance makes it suitable for automatic identification with minimal interference with ongoing processing. For example, as long as stable lighting is installed, a WAY-2C based system has no difficulty determining which of several different color instrument panels is passing this point. 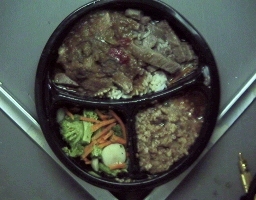 Either of the regions outlined, as well as others, would be suitable for this determination. The identification information can be passed to a bar code printer, c control device, plant IT system and/or simply processed by WAY-2C. In this real-time leadframe inspection application the bright red regions indicate incomplete coating covering and/or spillover. Detection of such regions generates a reject signal. Note how WAY-2C uses color information to recognize good and bad regions while disregarding details of coating shape. (Click on images to view more details). 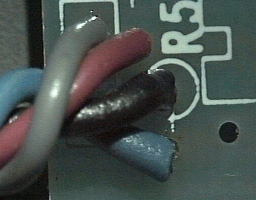 In another typical WAY-2C electronic inspection application, the left and right images show correctly placed wires: blue, black, red and gray in order counterclockwise from the lower right. 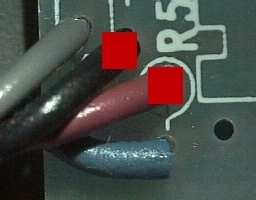 WAY-2C recognizes that the red and black wires are interchanged in the middle image, flags the offending wires, and outputs appropriate control signals. 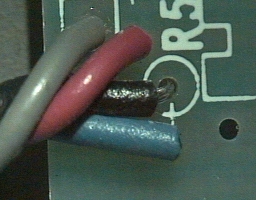 WAY-2C easily differentiates these twisted wire pairs including the missing pair. Compare this ability to recognize multi-color combinations with the capability to recognize only single color examples offered by systems using traditional methods. 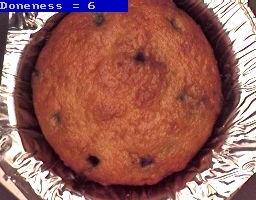 This example illustrates WAY-2C's ability to distinguish items based on subtle differences in color statistics. 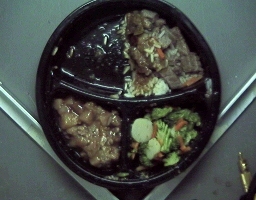 After being trained on the dinner to the left, the system recognizes the missing meat in the upper compartment of the dinner on the right and the incorrectly placed vegetables and desert in the lower compartments. 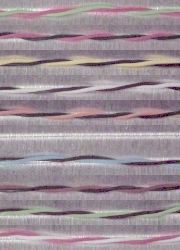 The progress and/or consistency of baking, roasting, and similar processes can often be judged from color distributions. When the color of the product is intrinsically non-uniform, WAY-2C's distribution matching method usually works well while colorimetry and conventional color- based machine vision approaches often have difficulty. The system can be used either on-line for real-time monitoring or process control, or off-line for objective periodic checks of product quality and appearance. WAY-2C's results are usually compatible with human interpretations over short periods and much more consistent over longer periods. 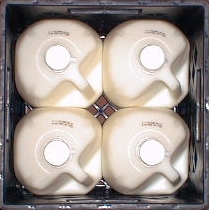 In warehouses, loading docks and similar environments, WAY-2C is used to identify and track dairy and other products packed in open crates. 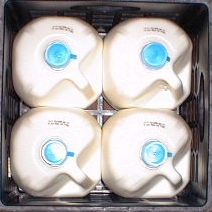 This information can then be passed on to control routing of the crates and/or, to accounting, billing, and labeling systems. WAY-2C's interpretation and measure features permit determination of the location and amount of each class in an entire image or in selected regions of the image. As illustrated by this satellite image vegetation interpretation, a map (upper right) can be generated in which color codes indicate the best fitting class at each point in the original image. 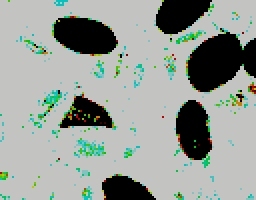 The map on the lower right shows regions found to be anomalous with respect to the colors in the entire original image (see Search Mode below). Search mode can be used to identify regions where a particular target class is likely to be found. 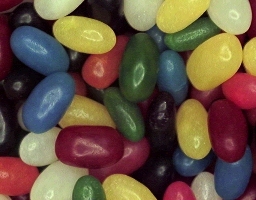 After training on yellow jellybeans alone,WAY-2C identifies yellow jellybean like areas in the left image by green through light gray colors in the right image. Search mode can also be used to identify anomalous regions. After training on the left image with no yellow beans, WAY-2C finds the yellow beans in the right image to be anomalous and maps them as black. This mode is well suited for such diverse applications as blemish and stain recognition, impurity rejection, intrusion detection, machine guarding, and search and rescue operations. 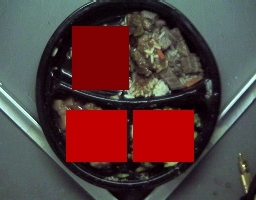 For example, after training on unblemished product, the system detects stains and foreign objects in the first image, triggers a reject signal, and identifies the offending regions by red, orange and black in the second image. 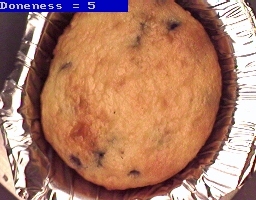 For an anomaly detection example in sorting. 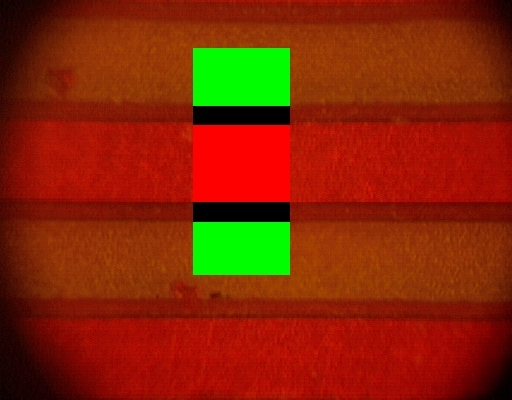 WAY-2C's powerful statistical matching techniques make it easy to automatically determine and report the widths of the different levels of etch in this printed circuit board image. A similar approach was used for monitoring a high level nuclear waste disposal process. WAY-2C provides information for grading and/or sorting of fruits or vegetables by either classifying based on overall color (top row), or on more detailed mapping of local color distributions (bottom row). Its unique ability to train by example and powerful classification methods have been shown time and again to produce results which are remarkably consistent with those of human inspectors. WAY-2C may be customized to perform such specialized tasks as grading and trimming asparagus. The image at the left illustrates how the system measures the curvature and thickness of the spear, the total length, and the length of the white, green, and purple sections. Typical processing speed is approximately 500 spears per minute. The verify and search features are useful for determining whether or not an item or region falls within a specified target class. The orange region in the right image indicates an object in the left image whose colors fall outside the expected range. Green and blue regions in the right image indicate objects whose colors fall within the expected range. More info and video link. 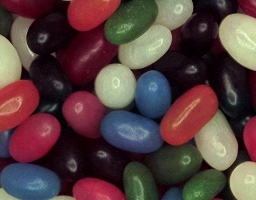 Many food and beverage products use characteristic color combinations to create brand identity. WAY-2C also can use these combinations for identification. For example, it can easily differentiate the four brands of whiskey at a rate of several hundred bottles per minute, based on the colors of the cap and randomly oriented views from the sides. Training for a new brand takes under five minutes. 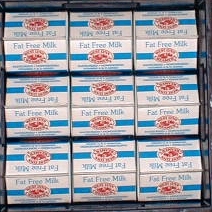 More than twenty different brands can be differentiated at the same time. Sorting and inspection systems often have to work in less than ideal conditions. One candidate for the worst conditions WAY-2C has encountered is this recycled bottle sorting facility where extreme temperature and ambient light fluctuations necessitate the ability to be quickly retrained by unskilled personnel. Single unit license for WAY-2C vision software is only $5K. Demonstration systems as well as dealer, integrator, OEM, and quantity discounts are available. Typical costs for complete systems including WAY-2C, camera, computer, lighting and basic customer application specific scripts are in the range $13K-$40K. Demonstrations, including prototype scripts for new applications can usually be arranged. Ask us about your application.